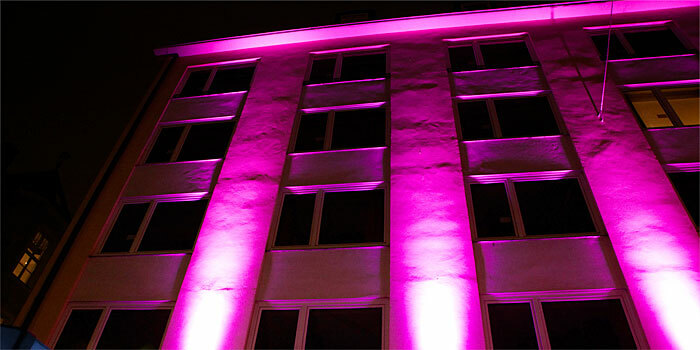 Welcome to our Smart Stay Hostel Munich City! 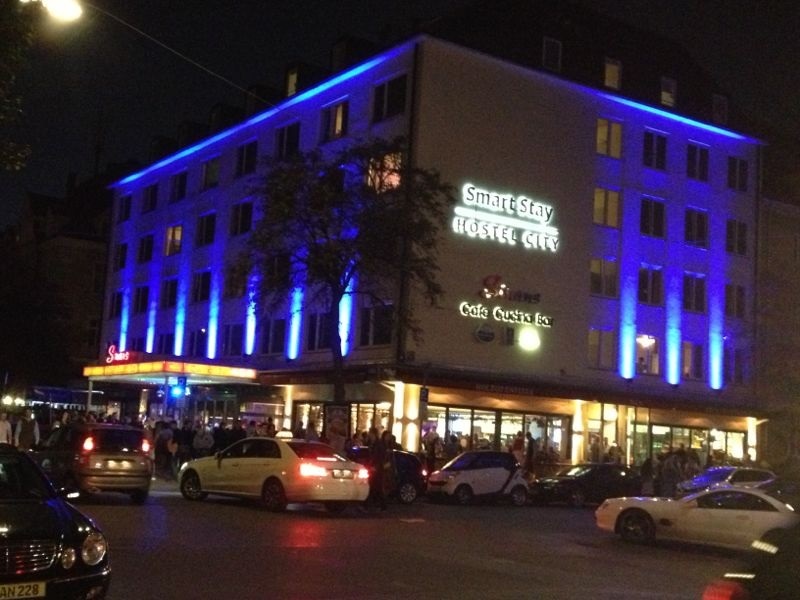 The Smart Stay Hostel Munich City is the perfect accommodation for backpackers and travel groups in Munich. 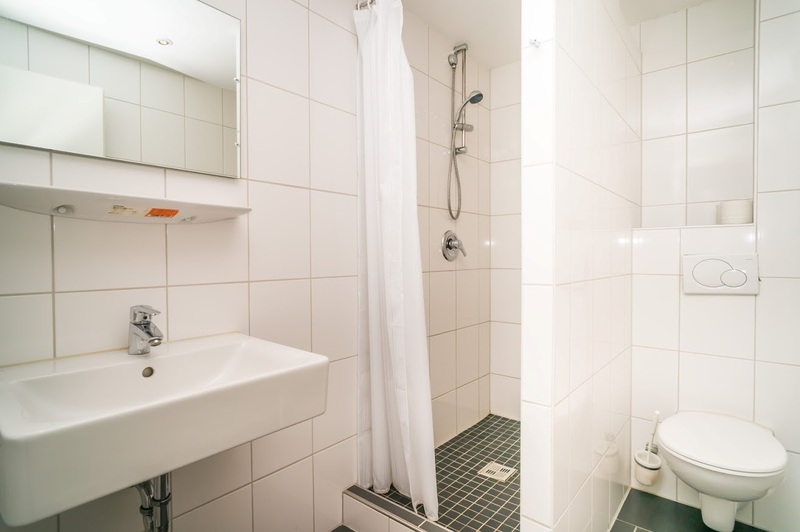 The hostel is situated in the heart of the Bavarian capital, directly at the Theresienwiese, and it is only 2 metro stops (10 minutes on foot) from the city center. We offer a range of renovated single, double and multi-bed rooms in a modern design that can be set up according to your needs. Upscale two, four, six and eight-bed rooms with own shower/WC, lockers, dressing room and fresh linen are available on all five floors. 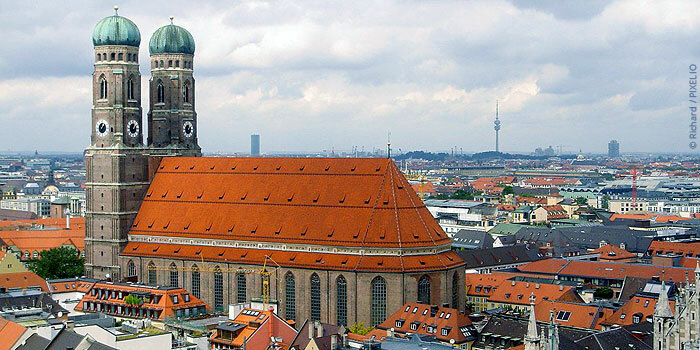 Are you planning a group or a school trip to Munich? Would you like to visit the city with your family? 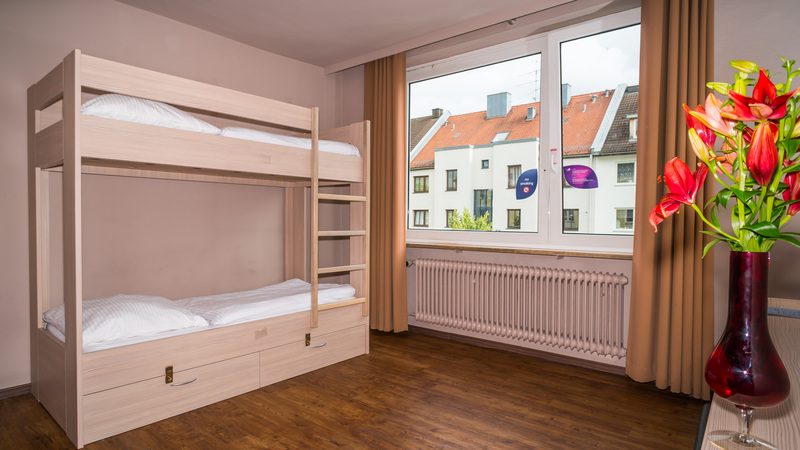 The dorms in our Smart Stay Hostel Munich City are perfect as an alternative for a youth hostel in Munich. But solo travelers are also welcome here – the beds can be booked individually. Gender-specific occupancy of the rooms is also possible, for example as a dorm for ladies only. Following the decision to ensure protection for non-smokers in Germany, the statutory smoking ban has been enforced in the entire building since 1.1.2008. Any infringements of this rule will lead to a fine of 50 euros and you will be asked to leave the hostel. Please do not throw anything out of the windows. The hostel is under video surveillance. Any infringement of this rule will be reported to the appropriate authorities and you will be fined 200 euros as compensation. You will also be immediately escorted from the property. Please do not loiter in front of the hostel after 11:00 pm. We are located in a residential area and do not wish to have the sleep of our valued neighbors disturbed. The use of illegal drugs is explicitly forbidden on our premises. Any infringement of this rule will lead to immediate expulsion from the property. Damage to the property of others (vandalism), violence, insults, threatening behavior, and harassment of any kind will result in immediate expulsion from the property. Behavior that could lead to injuries or puts the safety of others at risk will result in you being immediately escorted from the property. On your day of arrival, you can check in to your room from 2:00 pm. We take 2 Euro in pawn for the keycard. If you return the keycard before departure, you will get your money back. Please check out by 10:00 am on your day of departure. Misuse of the fire alarm, the emergency exits, and the fire extinguishers will lead to immediate expulsion from the property and any incurred costs are to be paid by the person responsible. Please keep the rooms and bathrooms tidy and clean. 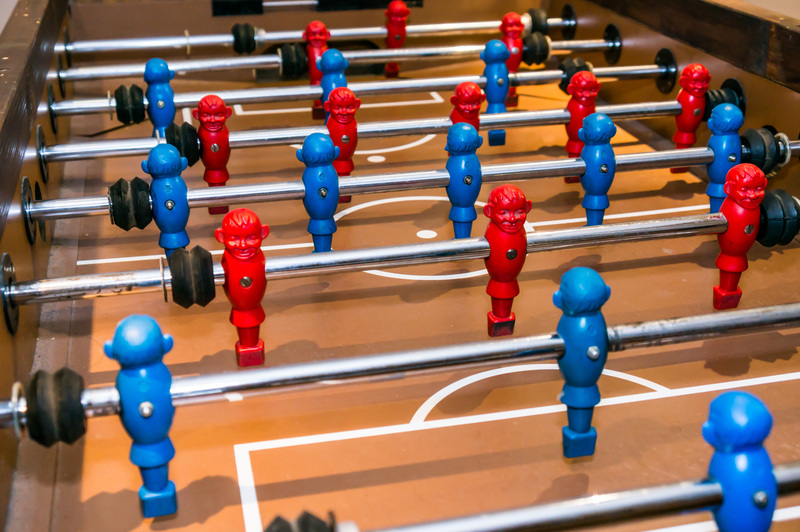 We assume no liability or warranty for any damages you and your guest might cause. We disclaim liability for your wardrobe or valuable articles. offence and be charged additionally to your room payment. reception. We kindly ask you to remove the bed sheets when you check out. periods within the hostel. Parties or social gatherings in the rooms are not permitted. Drunken visitors and guests can be expelled from the hostel. Please shut of all lights and windows when you leave the room. Possession of illegal drugs, toxic- or hazardous material is strictly prohibited. Smoking is not allowed in the hostel complex at anytime. Any abuse will be charged with EUR 50,00. Animals are not allowed within the hostel complex and the rooms. We are happy to receive suggestions and feedbacks for improvement. 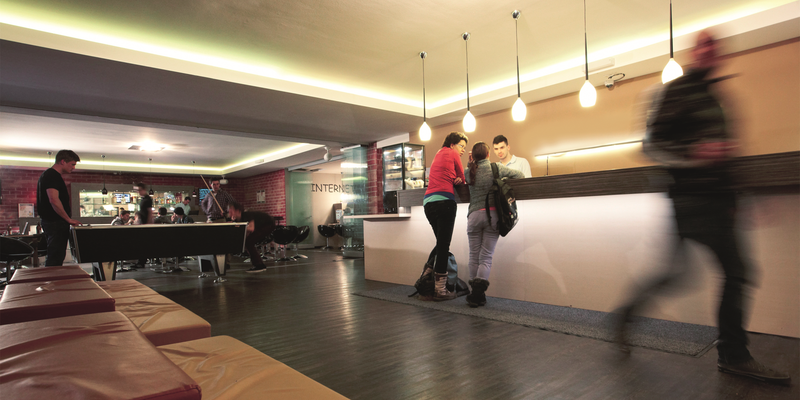 The Smart Stay Hostel Munich City boasts a modern look, superb comfort and excellent service – all for the benefit of our guests. And at a reasonable price too. 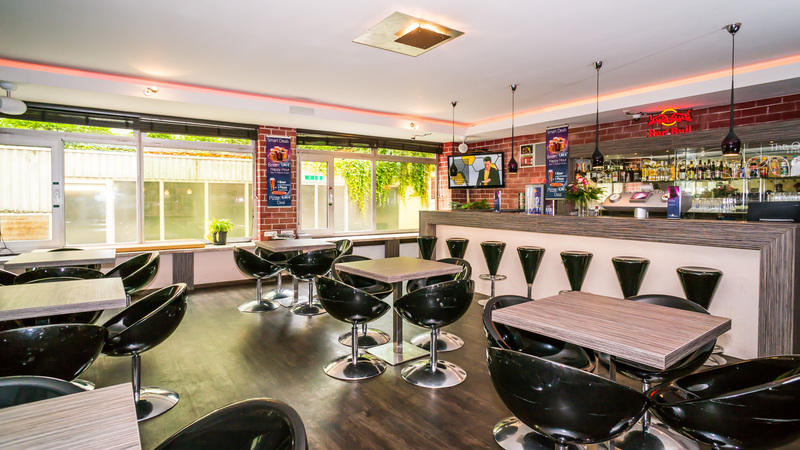 A friendly atmosphere, quality at attractive prices and an excellent location in the heart of Munich’s city center are perfect conditions for a carefree backpacker stay! Upscale two, four, six and eight-bed rooms with own shower/WC, lockers, dressing room and fresh linen are available on all five floors. 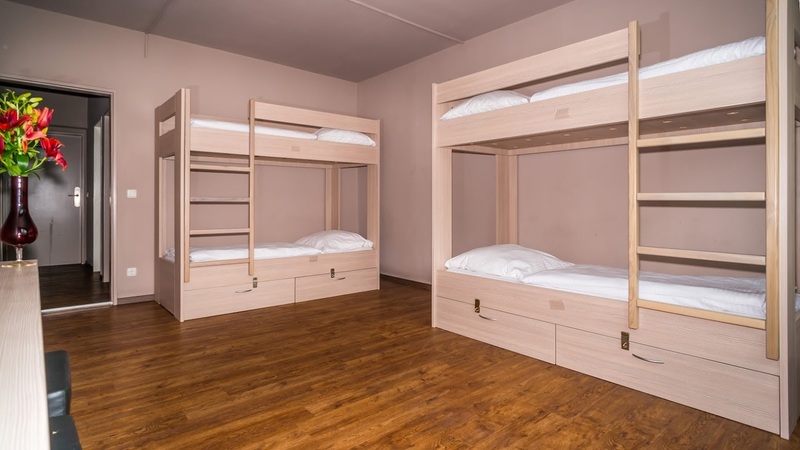 We offer reasonably priced multi-bed rooms for groups in Munich. 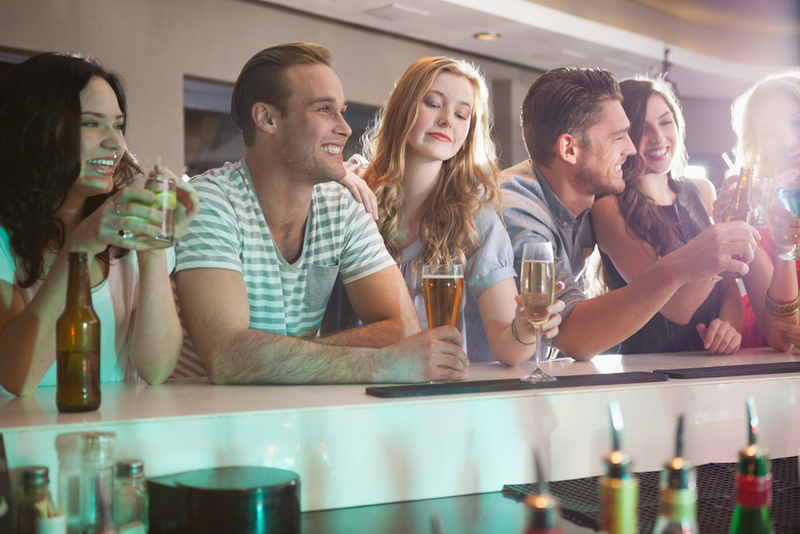 You can find all our prices and group offers in our booking module. 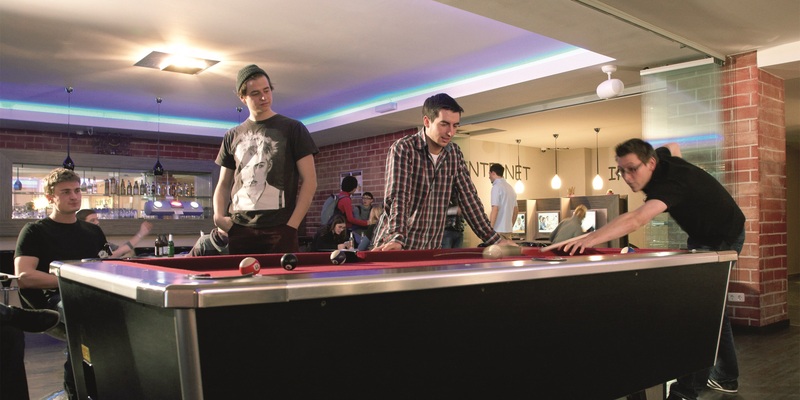 The Hostel Munich City is open 24 hours a day. 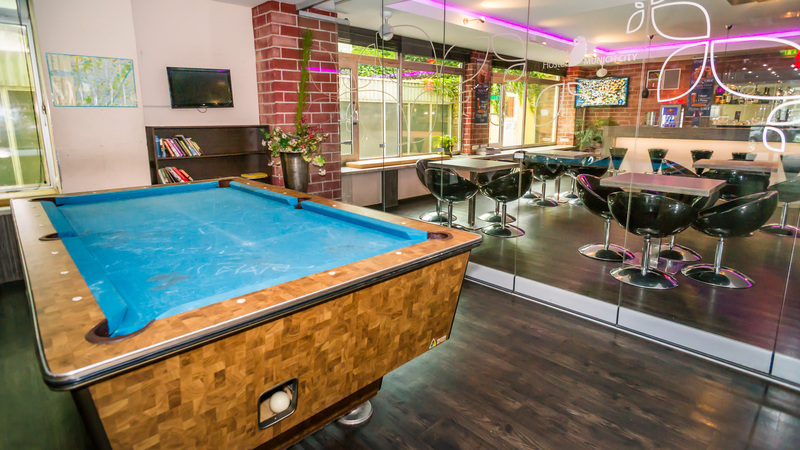 We offer a spacious lobby with a billiards table and large bar. In addition, free Wi-Fi is available in the whole House, but if you left your laptop at home, go online at one of our cheap internet terminals in our lobby. Dirty laundry can be washed at a small extra charge in the laundry equipped with washing machines and tumble dryers. Breakfast is the most important meal of the day between 7:00 and 11:00. We also offer lunch packs and supper at a reasonable price for groups. 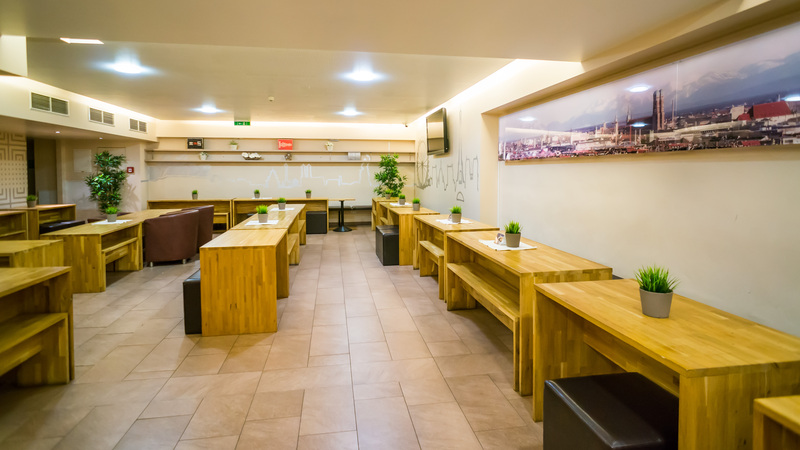 In addition, we provide a small self-service kitchen. 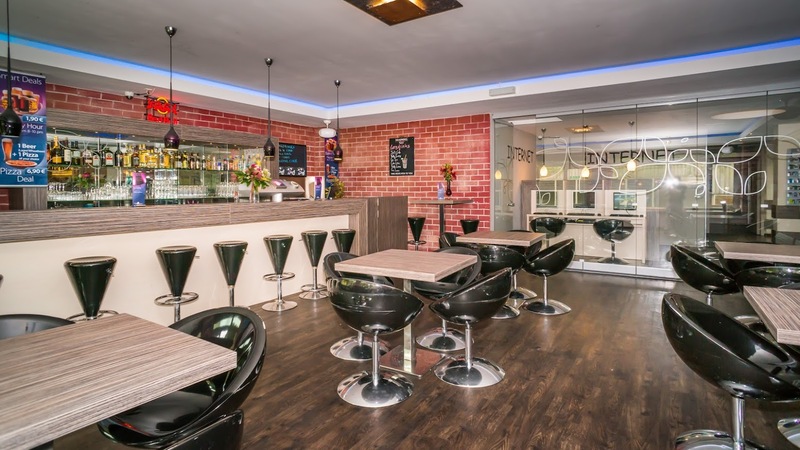 The trendy Smart Stay Hostel Munich City is located in the heart of Munich, only two minutes’ walk from the Theresienwiese (Oktoberfest) and just 2 stops from downtown. Subway lines U3 & U6 take you directly to the Olympia Stadium, to the Allianz Arena or to the student quarter of Schwabing. 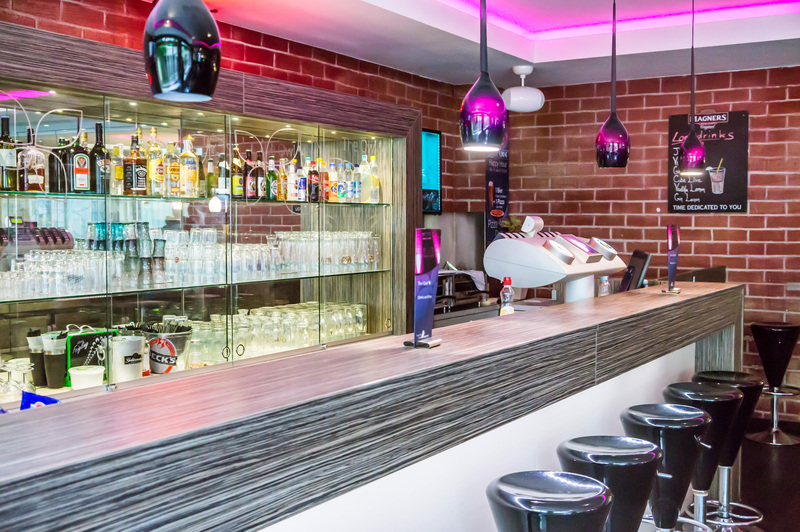 The area around the Smart Stay Hostel Munich City has a number of restaurants, bars, clubs and cafes, which are bound to fulfill individual needs. Grocery stores, banks and a post office are also close by. This is how you book your room with us: Simply send us a reservation request via our booking portal or an email to munichcity@smart-stay.de . Please note that we can only accept requests in English or German. We will gladly send you a non-binding offer.